Bagua Zhang is an internal martial art (martial qigong) for health and self defense which specializes in circular movement. 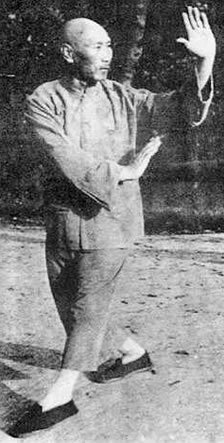 Bagua Zhang is an ancient traditional form of Chinese internal/external Martial Art. Bagua refers to the Eight Trigrams (Ba-Gua, shown below); Zhang means Palm. Bagua Zhang is one of the three major internal styles of Chinese martial arts. It is more vigorous and physically demanding than its sister arts T’ai Chi Ch’uan and Qigong. Truly a revolutionary Art for both the internal student seeking martial application and physical conditioning, and the external student wanting increased power and relaxation for more effective martial art applications.The forms and postures incorporate low squatting stances and specialize in twisting and turning of the waist, inguinal fold, legs, and arms.Bagua Zhang is perfect for the student seeking a demanding physical and mental challenge. And is a lot of fun!